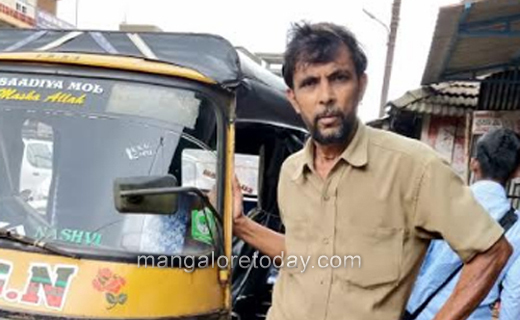 Belthangady, Jul 02, 2018 : A honest auto driver returned a handbag found on the road, containing gold ornaments and other valuables to rightful owner. Hameed’s gesture was appreciated by all. Reports said that Hameed was on his way to drop a passenger at Parappu, noticed a handbag lying on the road. He picked the bag and checked found cash, gold and a mobile phone in it. He contacted the person with the help of the mobile phone in the hand bag. Hameed handed over the valuables to Prema a resident of of Puttur. She thanked him for being prompt in returning the bag.